Receive a discounted NZPIA ticket when entering in your unique pre-issued promotional code issued by the Promoter. Not valid in VIP Table tickets. The NZ Pole Industry Awards aims to unite and recognise all those that are a part of the NZ Pole community. Everyone from students, to instructors, competitions to showcases. A lot of effort and time goes into producing events, continually pushing studios to be better and training to be the best of the best. We want to bring everyone together for a night of great food, fun, frivolity and recognition without the stress of competing or performing. 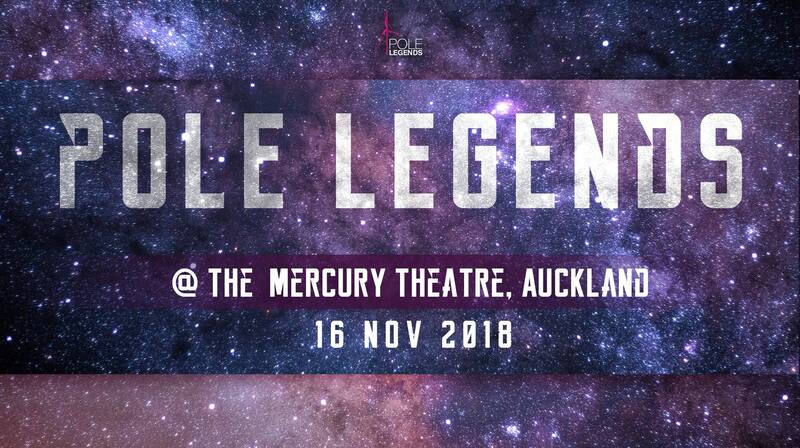 The biggest weekend of the year for NZ pole just got bigger! We are proud to bring you the first NZXPO - Pole & Aerial Exhibition. A chance to see the biggest and best products and services relating and complimenting the NZ Pole & Aerial community all under one roof. This expo will be run alongside NZ Pole Legends and the NZ Pole Industry Awards. Spend two hours pre Legends show visiting each stall, checking out pole, aerial and other complimentary services and products. And don't forget your tickets to Friday's Pole Legends!